Food losses amount to roughly US$ 310 billion in developing countries. Estimates from the UN’s Food and Agriculture Organization and the World Bank show that up to 47 per cent of the $940 billion needed to eradicate hunger in sub-Saharan Africa by 2050 will be required for the post-harvest system. Fruits and vegetables, dairy products and tubers have the highest loss rates of any food in developing countries at 45-50% occurring at post-harvest and processing levels mainly at early stages of the food value chain and can be traced back to constraints in harvesting techniques as well as lack of storage and cooling facilities. 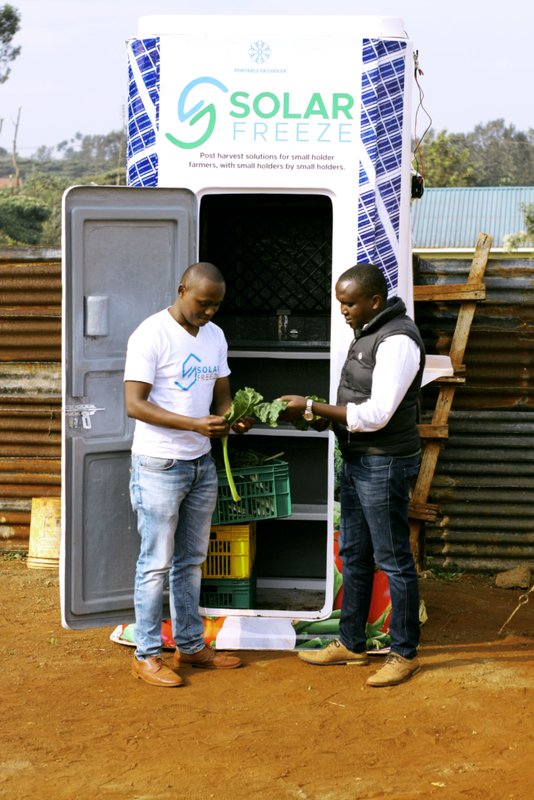 Temperature control is the most important factor in reducing postharvest losses for fresh produce. Today, an estimated 470 million smallholder farmers in developing countries lose an average of 15 per cent of their income to food spoilage. The environmental effects of food loss and waste are enormous; the total carbon footprint of food wastage, including land use change, is around 4.4 GtCO2eq per year. Similarly 1.4 billion hectares of land 28% of world’s agricultural area- is used annually to produce food that is lost or wasted. We cannot afford to allow these losses to continue.